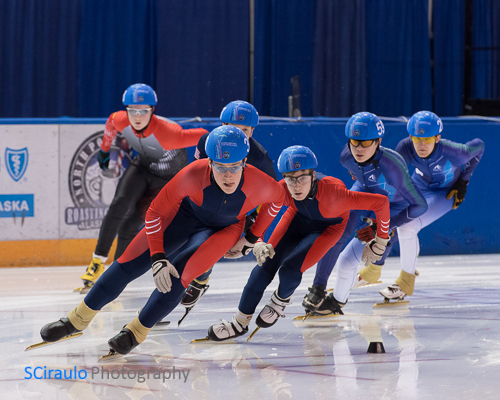 Beginning on Monday March 17 and continuing through Friday March 21 both male and female athletes from Alaska, Alberta North, Northwest Territories,Nunavut, and the Yukon participated in the short track speed skating competition held at the Carlson Center in Fairbanks. Over one hundred thirty 2000m and 3000m races in the juvenile and junior divisions were run over the span or four days racing. To view images from these and other 2014 AWG events, either click on “Events” in the menu above or, to go directly to Short Track Speed Skating images click here.